Woven bamboo baskets are used by the people of rural Hunan province to transport all types of goods, food, and, yes, even children. These baskets are often provisioned with shoulder straps, and are worn like backpacks. 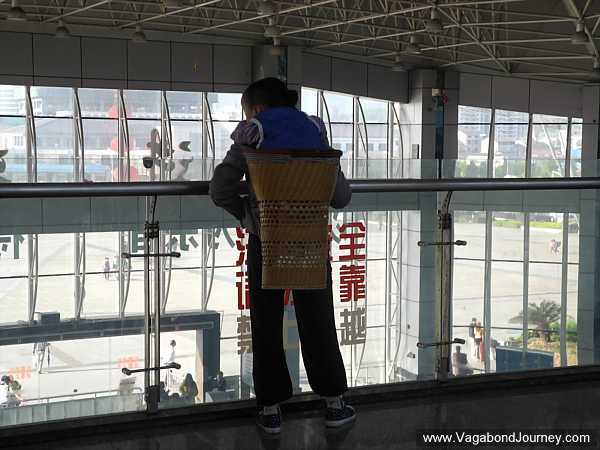 It was from the train up to Zhangjiajie that I first saw a kid being carted around in one of these baskets. A woman was working in a field and had a toddler packed in the basket she was wearing on her back. 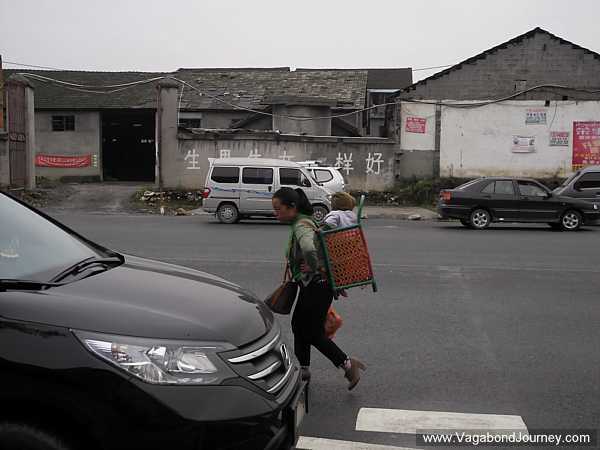 This is the traditional Chinese answer to the specialty backpack-style child transporters that are sold in hiking stores in the United States for top dollar, and I know well the advantages of being able to bear the weight of a child on your back rather than in your arms or over the front of your torso. Though the design of these basket baby carriers inhibit the kid from being snug up against the body of the person carrying them, like the clothes that the Maya use to carry their babies, it is an optimum system for being able to lug a child long distance or while working more comfortably. In point, the back is the best place to carry heavy loads for a long duration of time. Children are heavy. 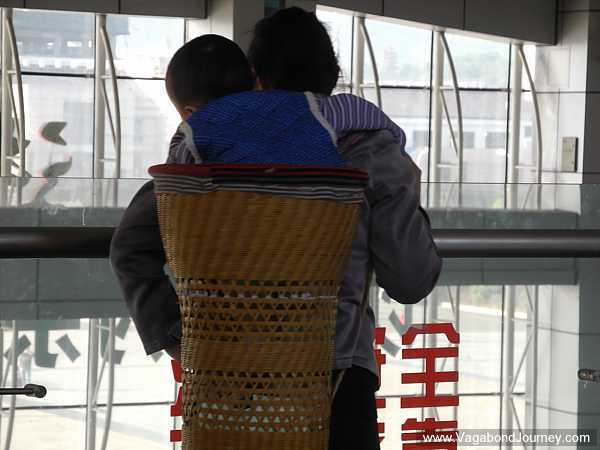 I got to check out one of these bamboo baskets that was being used to carry a child more closely on the train back to Changsha. The set up is ultra-low-fi, yet practical and functional. 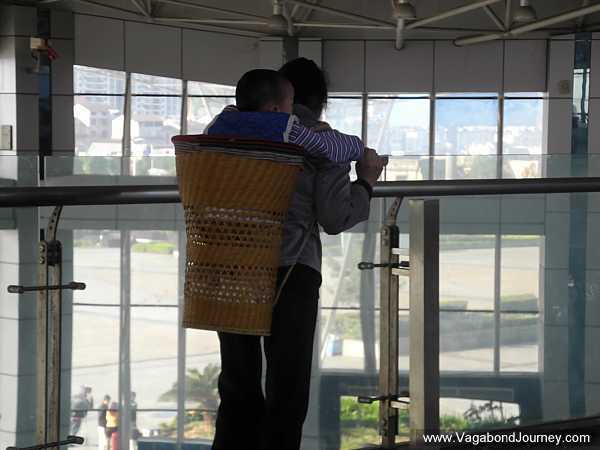 The kid just stands up in the basket and wraps his arms around the shoulders of the person carrying him. Though it appeared far less comfortable for the kid than the Ergo that I used to carry my daughter or even the various types of traditional cloth and sling carriers that are used all over the world, these Chinese children did not seem overtly uncomfortable — in fact, they are pretty used to being moved around like this.